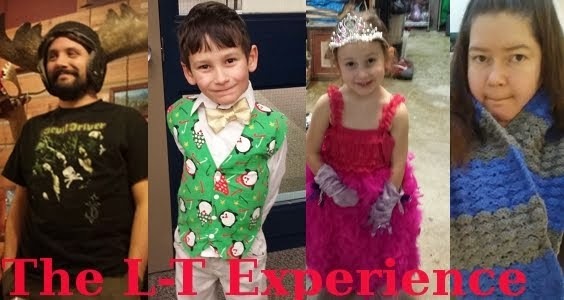 Easter and spring photos at the kids' school were both this past week. 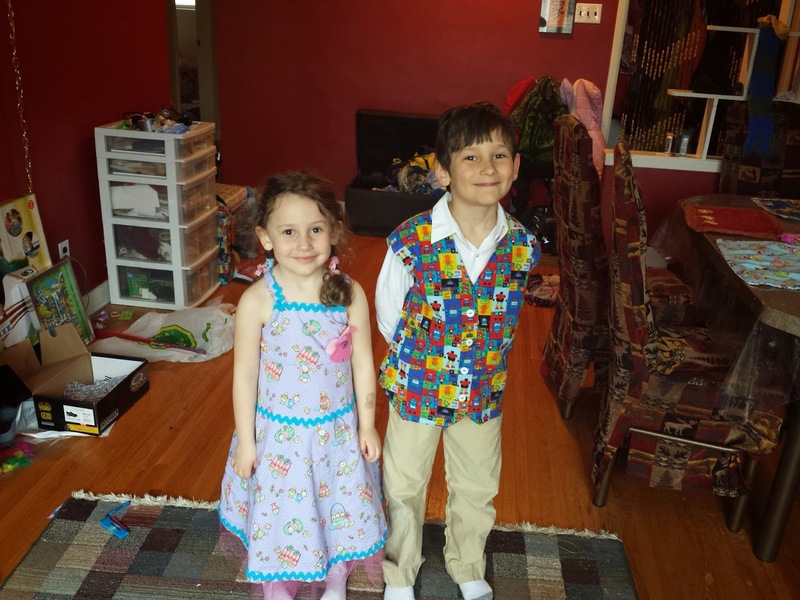 So I knocked out two birds with one stone by making Easter/Spring Photo garb for both kids. Lane came with me to the fabric store to pick out fabric and a pattern for her dress. 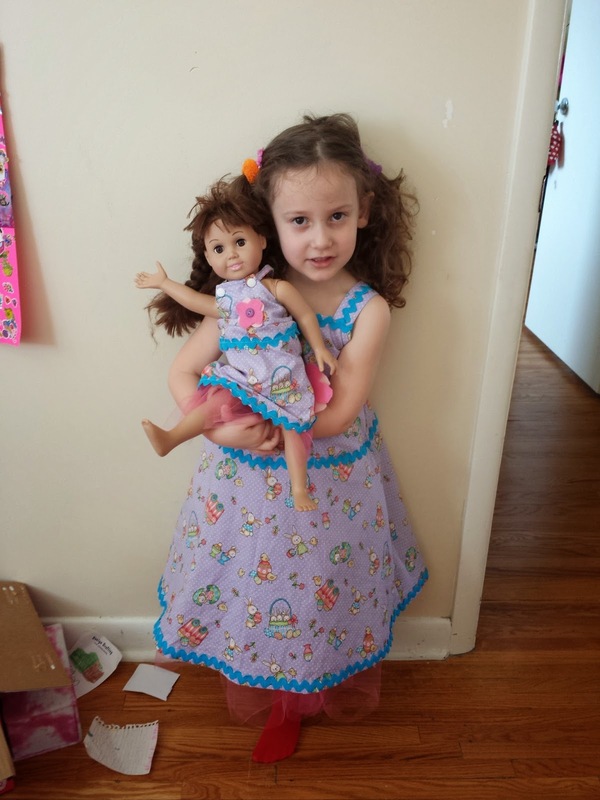 She had her heart set on a pattern that included a dress for her dolly as well, but they didn't have it in stock. 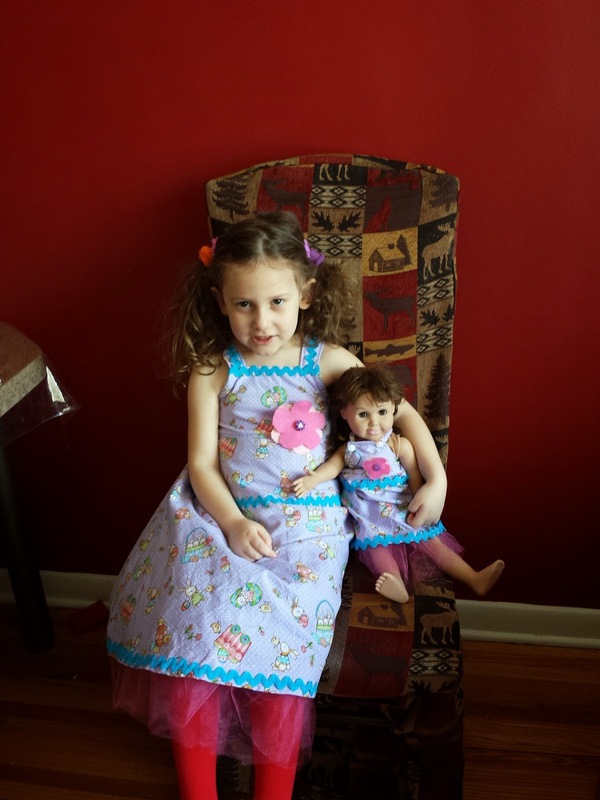 So I had to improvise a little and make the dress she was hoping for without a pattern... and then make one for her dolly to match. 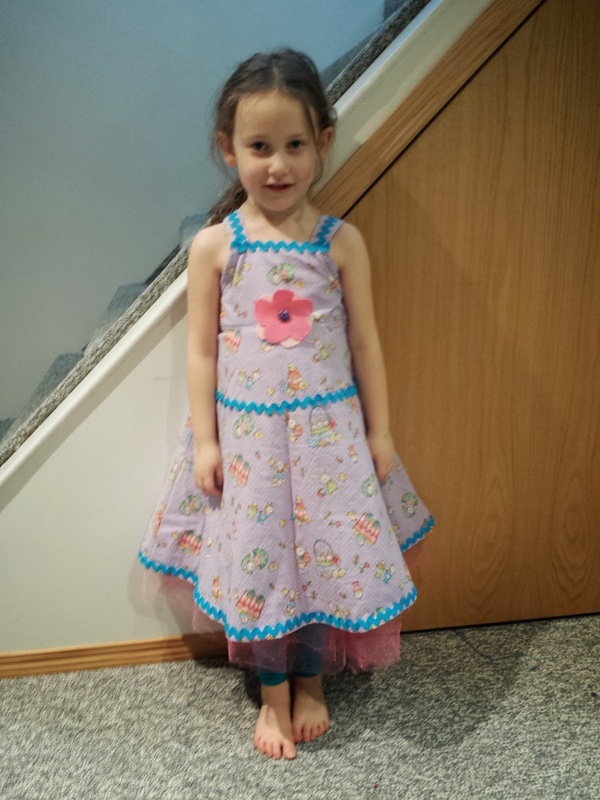 As you can see, she wanted a pretty simple spring dress. The only two things she insisted on were the tulle underneath and the felt flower in the middle of the bodice. I found a bunch of hot pink tulle at the thrift store for $1 and had some spare silky purple to use as lining. Lane picked out the ric rac that I trimmed the dress with. I worked at not making it look too much like an Easter egg heheheh... hopefully I succeeded a little bit? And then the doll needed the exact same outfit. Instead of putting a side zipper in the dress like I did for Lane, I decided to attach the bib part with two snaps. They worked much better for this scale of dress than a tiny zipper would have. I think both dresses turned out lovely. 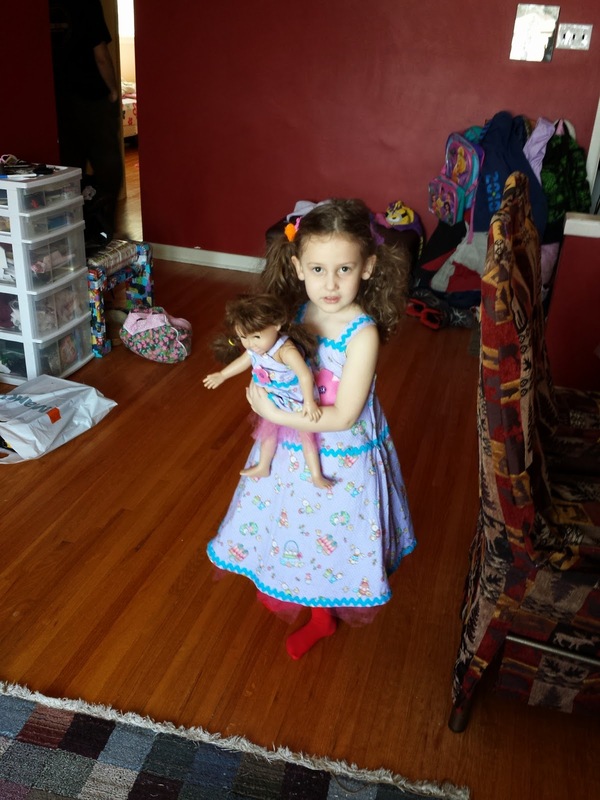 Lane wore hers to her spring photos yesterday and brought Emma the dolly with her for show and tell. Adorable! For Logan we decided on a vest. Last year he wore his full suit, so he wasn't really wanting to have the same photo taken again this year. 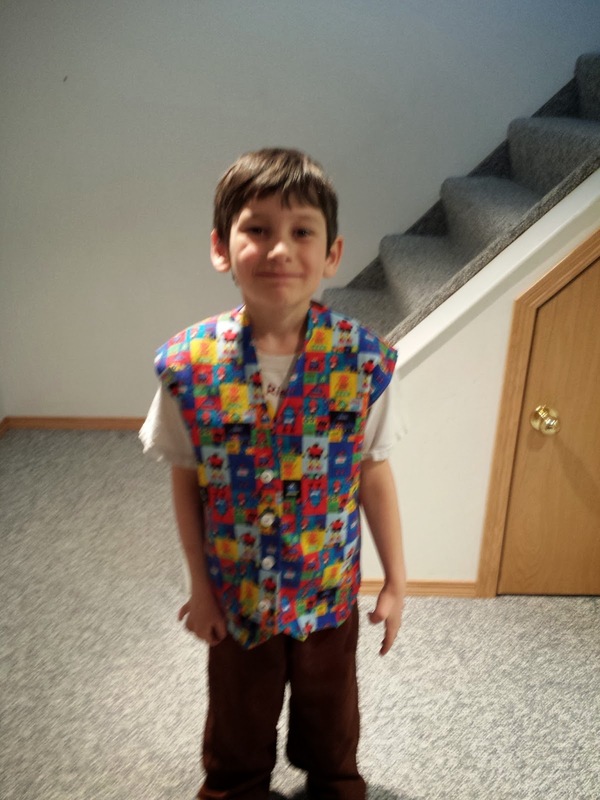 We decided to change it up by making a vest out of fabric that Logan chose himself. He found a flannelette with colourful robots on it and that was it, he wasn't going to have anything else. 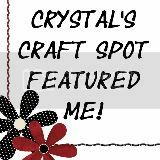 Again, I didn't use a pattern for this vest. I ended up using one of his t-shirts that fit well and measuring it out to make a vest. He wore it with his white dress shirt and khaki pants (also made by me). Aren't they precious? I even managed to tame Lane's hair into two braids with pink ribbon tied around the ends. I can't wait to see how their photos turned out. The spring photographers allow siblings to get their pictures taken together as well, so I'm very excited to see those when they come in the next few weeks.